The Air Jordan 22 was inspired by F-22 Raptor Strike Fighter, when you look at the F-22 Raptor you see the light camo spots sharp aerodynamic cuts that can cut through the air like ice. 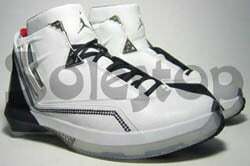 Some of the characteristics of the F-22 can be seen on the Air Jordan 22.
used it on the Air Jordan XX2. Unlike the past model using IPS the pods were a little difficult to remove, so on the Air Jordan XX2 the pods are square with a little tongue to pull them out. Also the interchangeable Zoom Air pod is double stacked, which reduces the cushioning hardness. Early samples of the Air Jordan XX2 had vents on the heel with stitching starting at the heel running almost through the toe box. Samples also had a removable strap, but Michael did not like the look of the strap so this was dropped. The shank plate is made from thermoplastic urethane which is also coated with paint containing metallic titanium. 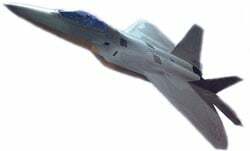 Soaring design lines: The XX2 swooping aggressive lines mirror the unique flight pattern of the F-22 Raptor. Full-grain upper: The Air Jordan XX2 is crafted from elegant full-grain leathers for an unmatched level of lasting sophistication. Radar stitching: Defiant zigzag stitching reflects both the F-22’s ability to disrupt enemy radar and Air Jordan’s heritage of delivering the unexpected. Jumpman heel cover: The distinct heel of the XX2 only reveals the Jumpman logo at certain angles, a reflective jet fighter cockpit. Jordan camouflage: A unique Jordan camouflage pattern is printed in reflective 3M for a daring look that changes in different light conditions. Titanium shank plate: With its incomparable strength-to-weight ratio and atomic number 22,”tensegrity” patterned titanium provides the ultimate in mid-foot and arch support. Performance heel: The XX2 is both lightweight and supportive. Thanks to an efficient sculpted design and ultra-stable extended heel counter. Molded vents: Like the technology, hidden beneath the wings of the F-22, molded TPU vents not only dissipate heat but follow the contours of your ankle for a better fit. Next-level lacing: The variable speed lacing system on the XX2 features durable titanium-coated eyelets and a remarkably effective lace-lock. Protective toe cap: A silver cap bearing the world’s most famous number shield, the toe of the XX2. Quilted collar & bootie: The triangular quilted pattern on the foam-backed collar and integrated seamless bootie, maximises both comfort and breathability. Superior sock liner: Even the XX2’s sock liner is hi-tech with its shock-absorbing heel pad and midfoot vent cutouts. Breathable tongue: A special triangular ventilation pattern and red woven metallic mesh help maximises air flow. Translucent outsole: Crafted from the clearest rubber available, the XX2’s outsole redefines sticky while permitting more natural foot movement with its saw-toothed edges. 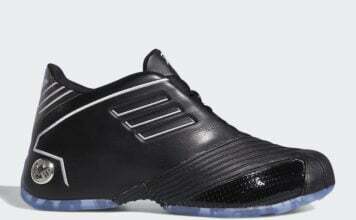 Enhanced traction pattern: Based on a sargeant’s stripes, the XX2’s innovative outsole offers the most effective multi-directional Jordan traction ever. Cushioning pods: Strategically mapped pods offer the last word in tuned cushioning performance by utilizing varying densities of foam along with Air and IPS technologies. Variable Independent Podular Suspension: IPS cushioning technology has evolved to a colour coded visible, interchangeable pillar, with either responsive double stacked zoom air or shock absorbing encapsulated air. Low profile midsole: The phylon midsole provides a responsive stance that works seamlessly with the XX2’s formidable cushioning firepower. When head designer of the Air Jordan XX2 D’Wayne Edwards knew the XX1 was heavy, so he had made the XX2 lighter. What caused this is the cutting of foam and midsole material also from the use of TPU composite shank plate. Retail price for the Air Jordan 22 is $174.99 while a special Air Jordan XX2 made of Basketball Leather sold at $179.99. At the 2007 All Star game in Las Vegas you can see NBA Players wearing the Air Jordan XX2 such as Rip Hamilton and Ray Allen.